There is no better way to start your day than to find out that you lovely tablet/e-reader has received a software update, making it, well, more awesome. The Barnes & Noble Nook Color has just received an update to version 1.4.1 which brings a number of enhancements and additional functionality bringing it closer to the recently released Nook Tablet. First off the new version brings landscape reading with books, something we had noted was lacking when we initially reviewed the Nook Color — you can find our pretty lengthy review here. There is also a new category of books named PagePerfect, which are carefully put together electronic versions keeping with the original colorful print version; the category includes cookbooks, art books and the rest. 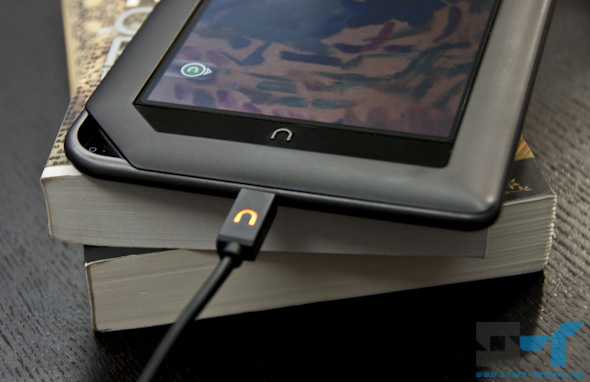 Those of you who prefer to sit back and be entertained, the Nook Color is getting Netflix movies and TV shows support. Marvel comic book fans should also be excited as the Nook Color joins the Nook Tablet in receiving Nook Comics. Finally B&N is claiming over 100 minor enhancement which should make the Nook experience better. You can connect your Nook Color to a Wi-Fi network and wait for the update to be delivered to your device automatically or if your are the impatient type (and we would completely understand if you were), head over here and follow the instructions under ‘Get Version 1.4.1 Today’. 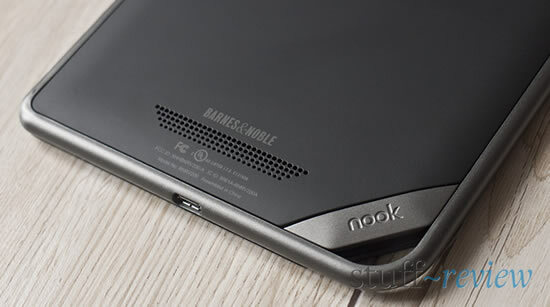 We already saw all the details of the Nook Tablet, Barnes & Noble’s response to the Amazon Kindle Fire last week. Barnes & Noble has today officially unwrapped its Nook Color successor, and things are looking good for the book retailer. 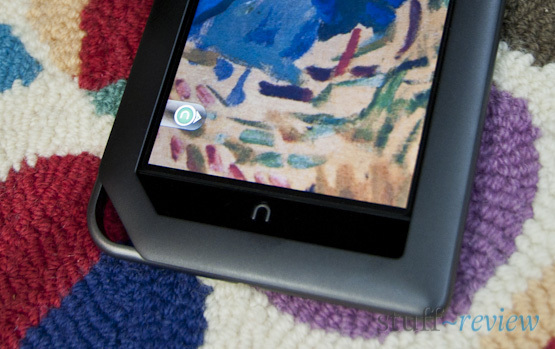 The Nook Tablet shares the same unique Yves Behar design like the original Nook Color (which by the way is now selling for $199), save for a lighter grey paint job, and a slightly slimmer design. Inside however it’s been vastly improved. The Nook Tablet runs Android 2.3 Gingerbread underneath, but like its predecessor, the experience is very customized and is content and book centric. It’s donned with a 7-inch 1024×600 IPS VividView touchscreen display and runs on a dual-core 1GHz processor with 1GB of RAM. It has 16GB of built-in storage and a micorSD card slot for up to 32GB additional space, trumping the Kindle Fire. You can check out how the Nook Tablet fares against the $199 Kindle Fire in our comparison. 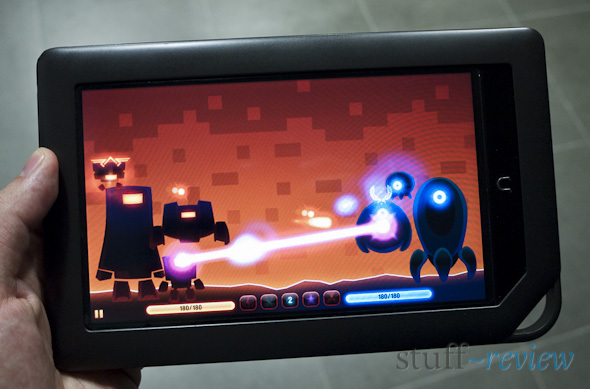 The Nook Tablet weights 14.1oz and is 0.48 inches thick. Battery life appears to have been boosted with a claimed up to 11.5 hours of reading or 9 hours of video. 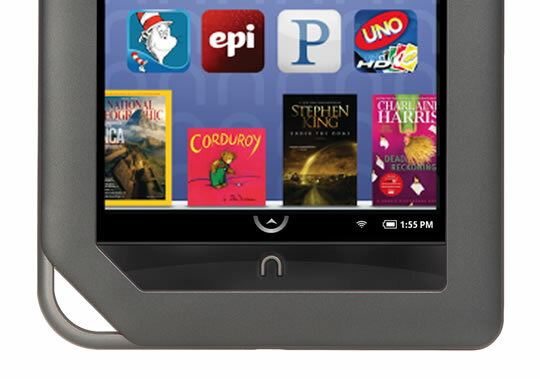 The Nook Tablet comes with Netflix and Hulu Plus out of the box, and is capable of playing 1080p HD video. Other loaded applications include, Pandora internet radio, Chess, Crossword, Sudoku, Media Gallery, NOOK Friends and email. As with the Nook Color, you will not have access to the official Android Market, but rather B&N’s own Nook apps market — though it remains to be seen how fast this can get hacked and loaded with custom ROMs for full market access, like the Nook Color. Barnes & Noble is offering a new ‘Nook Cloud’ free storage service with the device and free trials for Rhapsody, MOG and Grooveshark. You can pre-order the Nook Tablet today for $249 from B&N, shipping on November 18th. The Nook Simple Touch device, with an E-Ink display, is now just $99 (from $149) and has received improved rendering software for faster page turns, while, as we’ve mentioned, the Nook Color can be had for $199 (from $249). A host of presentation videos are after the break. 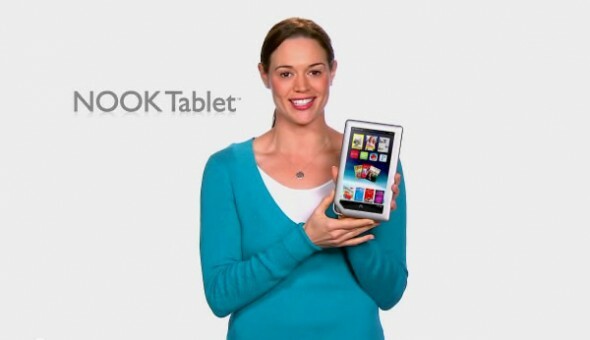 Yesterday we brought you the news on Barnes & Noble’s upcoming tablet, the Nook Tablet, which will retail for $249. It only makes sense that the previous generation Nook Color, which currently retails for the same price, will see a price drop. 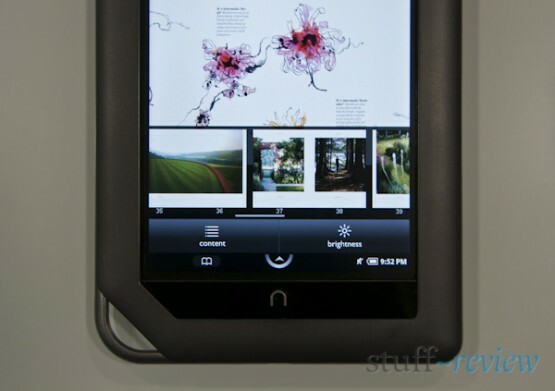 B&N is planning to cut the Nook Color’s price by $50 to $199. It will also be getting a software update, version 1.4, with Hulu Plus and additional music streaming services from Rhapsody, MOG and Grooveshark with free trials — Pandora is already included with the NC. We are still doubtful that it will have much success even at the discounted price, since the Amazon Kindle Fire will also retail for $199, while the more capable Nook Tablet is only $50 more. 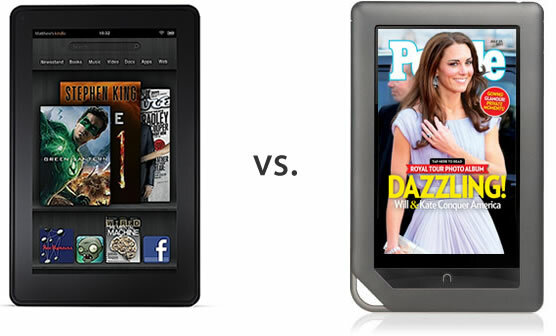 You can check out our Nook Tablet vs. Kindle Fire and the original Nook Color vs. Kindle Fire comparisons. In any case, it’s good news for existing Nook Color owners who will be getting more from their e-Reader/tablet soon. Even better, you can grab yourself a Nook Color for free, just by entering our simple giveaway. 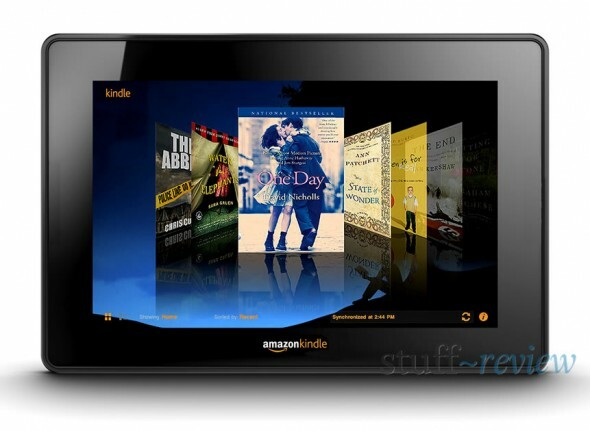 With Amazon preparing to ship the Kindle Fire on November 15 and the original Nook Color celebrating its one year anniversary in mid-November, we’ve been hearing a lot of noise building up on a second generation LCD touchscreen Nook. 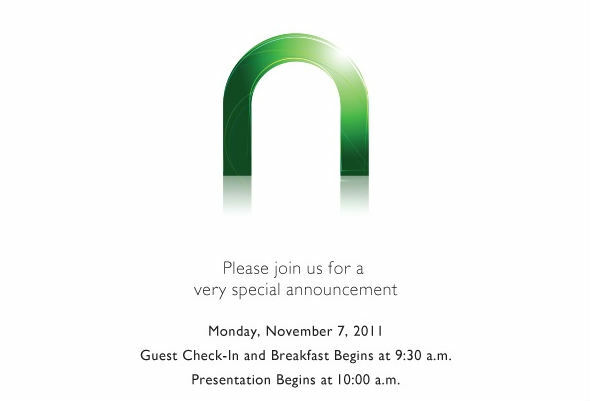 Barnes & Noble has just sent out invites for a Nook related event for Monday the 7th of November in New York, and we would guess that the company will reveal the ‘Nook Color 2’. Although the original Nook Color doesn’t fare badly against the Kindle Fire, we expect that B&N would want to beef up the processing power of a Nook Color successor to match or supersede that of the Fire. It will also be interesting to see where B&N will price any new devices, to match or beat Amazon’s $199 offering. 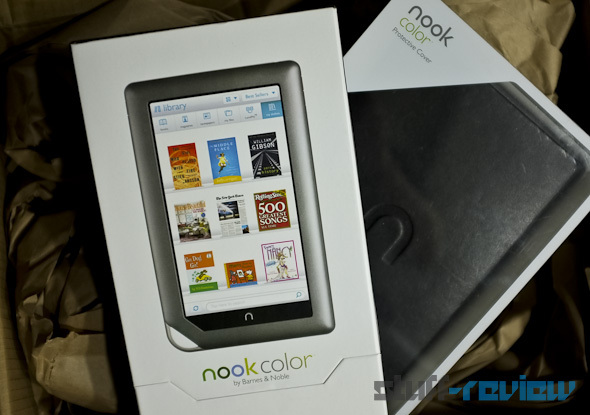 In the meantime, why don’t you enter our giveaway for an original Nook Color. We’ve decided it’s about time for another giveaway and what would be a better gift for a tech (and book) loving Stuff-Review follower than Barnes & Noble’s e-Reader/tablet, the Nook Color. We’ve covered the NC extensively in our original review, and our overall opinion was quite positive. You can also check how it holds up to the one year younger Kindle Fire. We’re giving away our trusted review unit, running the official version 1.3, together with a B&N leather cover to protect your loot and a SanDisk 4GB microSD card to store all your extra media. The competition is a simple tweet/retweet and follow until we reach 2,000 followers. To win, simply retweet or tweet about this competition (including @stuffreview and of course the link to the competition in your tweet) and follow us on Twitter. We will pick a winner as soon as we reach 2,000 followers and notify the lucky one, both on this page, and via Twitter. Full rules can be found after the break. There has been a lot of noise around the internet, over the past few weeks, about an upcoming Amazon tablet which will be competitively priced and supposed to finally give the iPad some much-needed competition. TechCrunch’s Siegler blogged yesterday that he has seen and handled the device, which will be a 7-inch tablet simply named Amazon Kindle, but unlike Amazon’s other Kindle devices this one will feature a normal, rather than E-Ink, color touch-screen. It will run a very customized version of Android with a user interface similar to what we are used to from Amazon, dark, blue with bunches of orange. Content, such as books, movies and apps is presented in a carousel format, à la iTunes Cover Flow. The device is said to have a form factor similar to the BlackBerry PlayBook but no cameras whatsoever and no physical buttons on the front. The back has a rubber feel and the speakers are on the top of the Kindle tablet, if you are holding it in landscape mode, and the power button at the bottom. Based on the information provided, we’ve made a quick mock-up (see above) of what the Amazon Kindle tablet could look like. The 7-inch tablet is said to retail for $250 and Amazon is targeting November for launch, while it’s ironing out the software side. Barnes & Noble have just announced an update to their successful e-reader/tablet, the Nook Color. Version 1.3 will be begin to rollout to devices over the air during the week but you can update to the latest version immediately be following the steps outlined below. The latest update brings some performance improvements, better Wi-Fi connectivity and parents can now disable the web browser before handing the tablet to their kids. When we reviewed the Nook Color we really enjoyed it as a device for reading magazines, even calling magazines the “killer app”. The latest update now brings special interactive editions of Nook Magazines — People, Time, Sports Illustrated, Fortune, Parents, and Fitness for now — which feature videos, audio, polls, quizzes and slideshows; imagine reading about a new exercise but also seeing a video demonstrating it. Finally all you print subscribers to People, Time, Sports Illustrated, and Fortune can now get free Nook editions of these magazines. B&N is quick to mention that it has one of the largest collections of online magazines and that you can try all magazines and newspapers for 14 days for free. So you’ve taken the plunge and rooted your Nook Color, tasted the fruits of freedom and now there is no going back. Now there is only the endless search for new and exciting apps and games. Well, we are here to help with a series of reviews of cool Android apps tried and tested on the Nook Color. We love the Zune’s stylish, flashy and efficient music player user interface which, by not simple luck, has been inherited by Windows Phone 7. Official Zune development might or might not have stopped, nevertheless it’s created something bigger and also quite a following. So, when we found out that it’s been ported into an Android music player we were pretty excited. The application comes from LauncherPro’s developer, and although it’s still quite an early alpha build, we’ve taken it through its paces and its pretty smooth and really close both functionally and visually to the original. 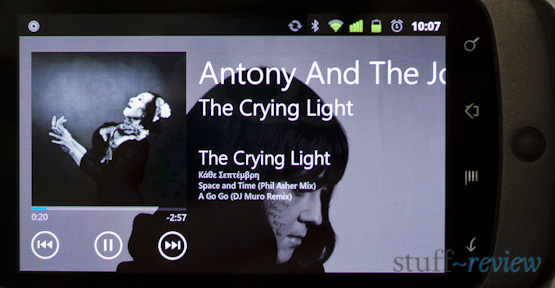 UPDATE 1: Zune/WP7 styled music player shown running on Nook Color, images after the link. UPDATE 2: Alpha 3 just released with many bug fixes and new features, link for download after the break. UPDATE 3: Alpha 4 now out with widget support and playlist creation, link for download after the break. Barnes & Noble has announced that, just after one week since the Nook App Store came online, Nook Color owners have browsed and downloaded one million apps onto their devices. 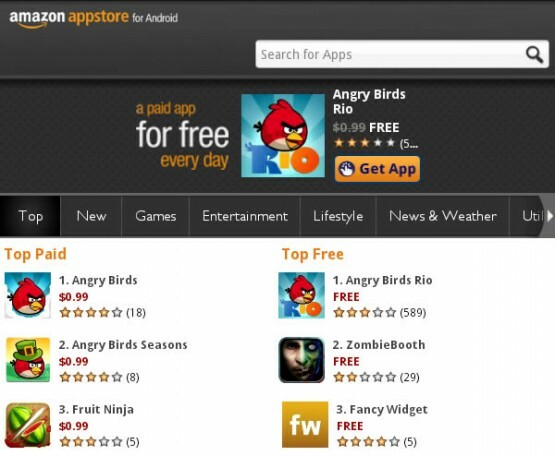 Considering that Nook users, bearing rooting their device, have been holding tight for some time to get their hands on any new apps, this comes as no surprise. Well The long wait for Nook Color owners seems to be over. Barnes & Noble’s popular e-reader has finally been updated to Android 2.2 (‘Froyo’) while at the same time users can for the first time install apps without having to resort to rooting their device. When we initially reviewed the Nook Color, the update was still in the works; nonetheless we thought it had great potential as a well-designed budget Android tablet. However, the $250 device is still not getting full Android Market access, but rather its own app store with applications having to first be approved by B&N for inclusion. This means that you will not find every obscure Android app out there, actually the catalogue right now is quite limited with no Facebook app or any of the standard Google apps like Maps, but available apps should increase over time.